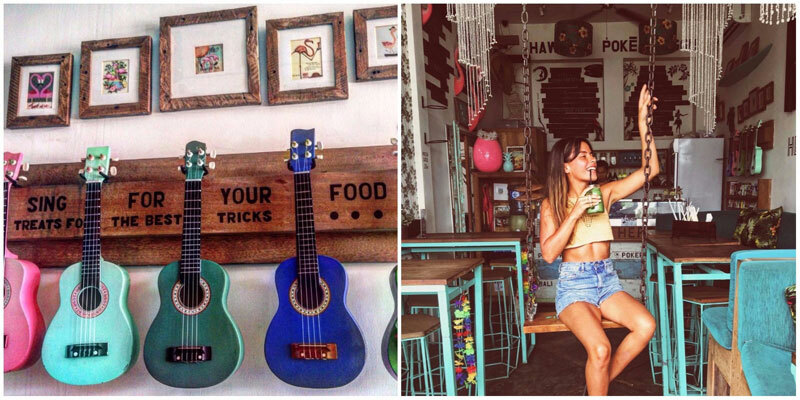 Canggu is cool, so cool that it’s quickly become the little star of Bali, the ideal location for any hipster. 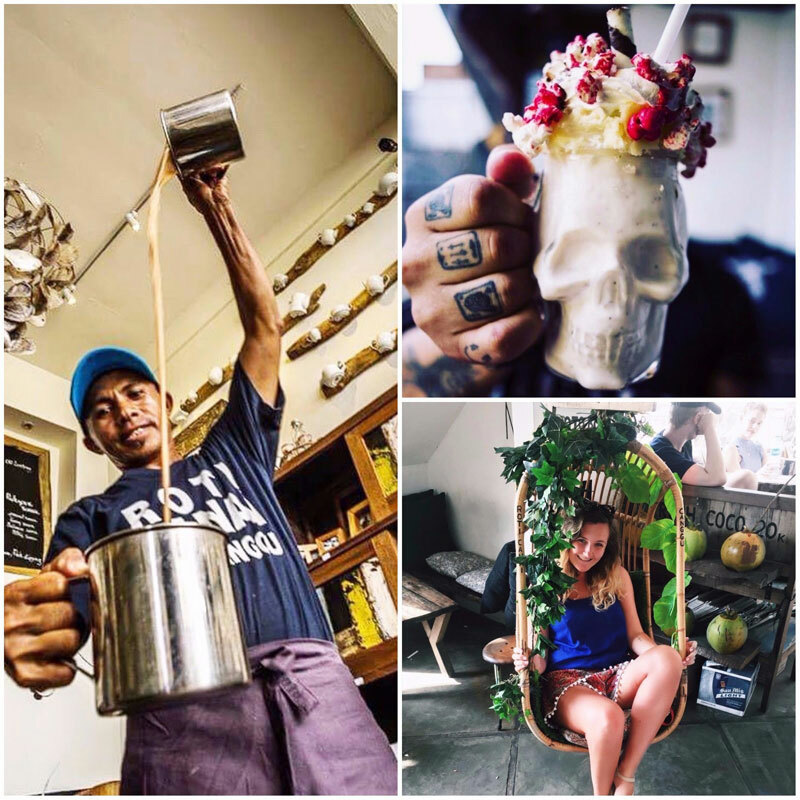 Since the entire area wraps itself around the unique and offbeat, it’s no surprise that you can find cafés in the Gu that cater to the popular culture. 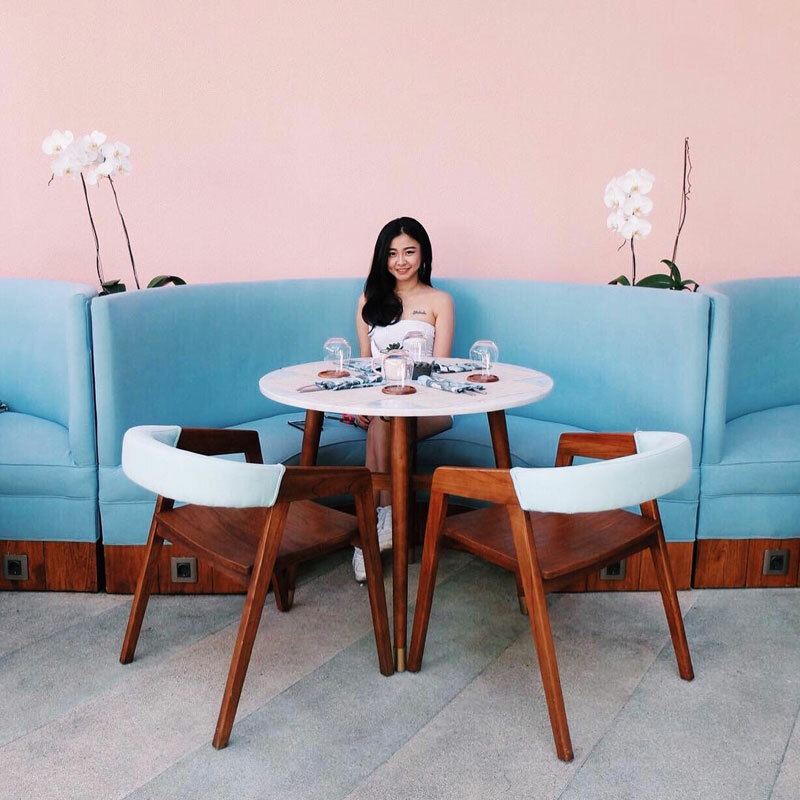 What’s more, these cafés have unique Instagram-worthy aptitudes too. 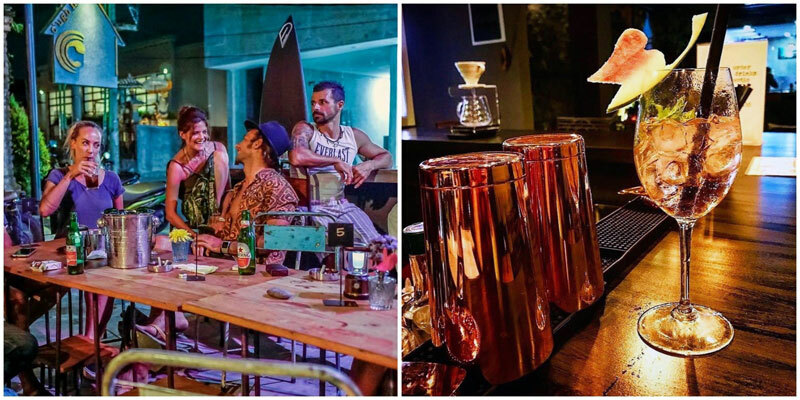 Don’t miss taking those selfies with your buddies, with the most hipster décor, killer views, ambience and mouth-watering dishes. These are real #nofilterneeded dining spaces. 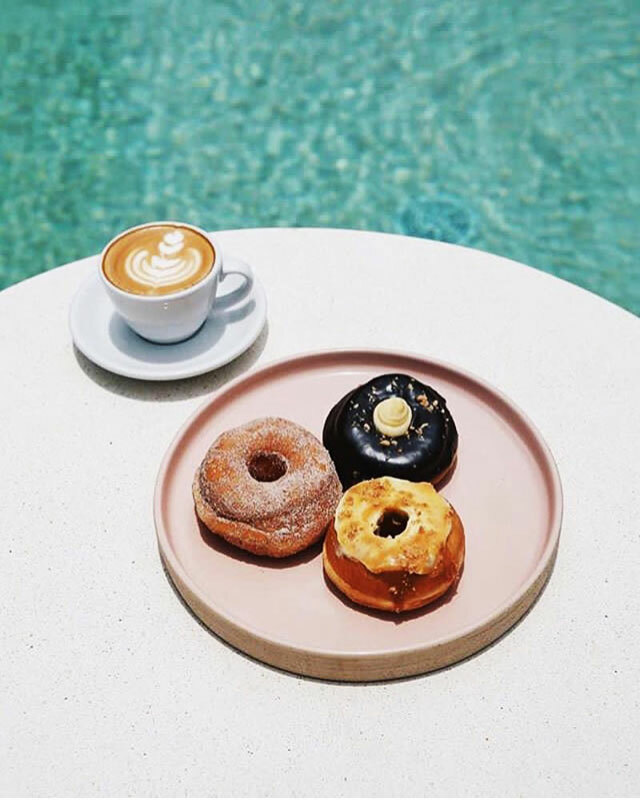 Time to add them to your list and get ready — café-hopping never tasted so good! Address: Jl. 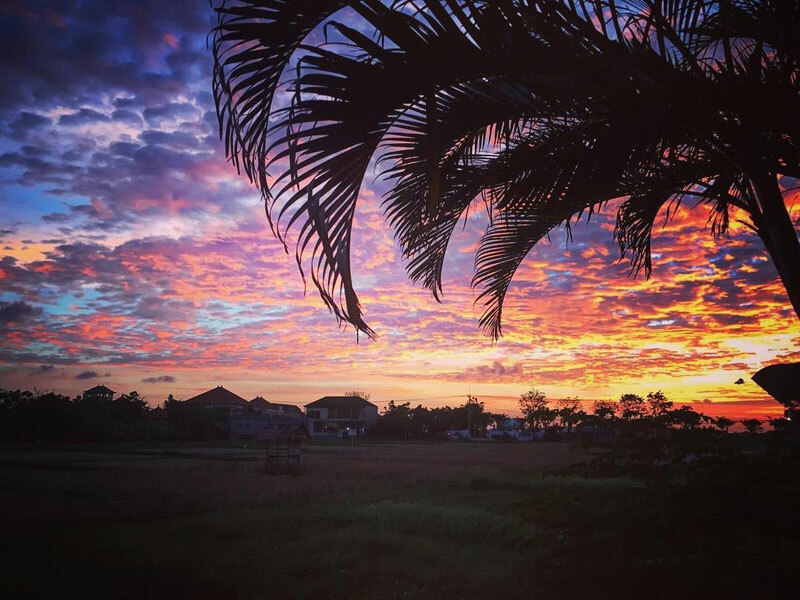 Pantai Berawa No.13, Bali 80361. 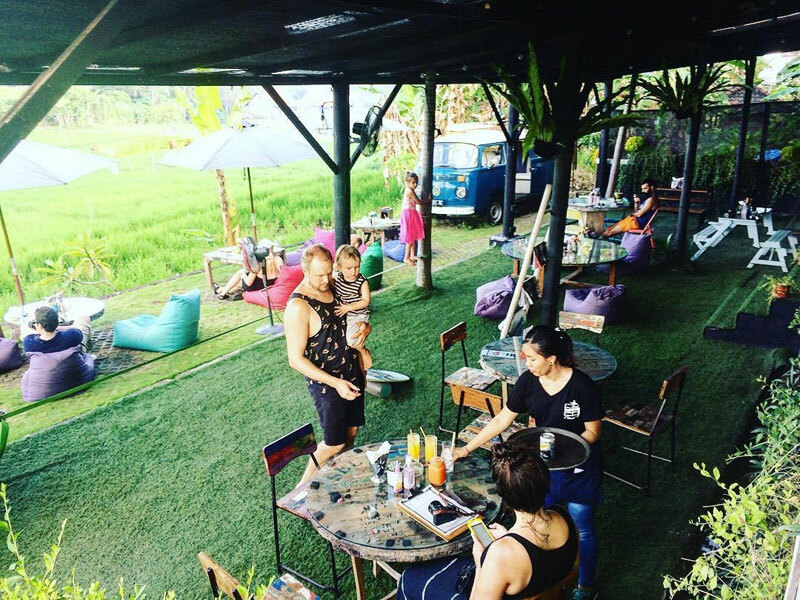 This little café is best known for its magnificent views of paddy fields, but it is much more than that! 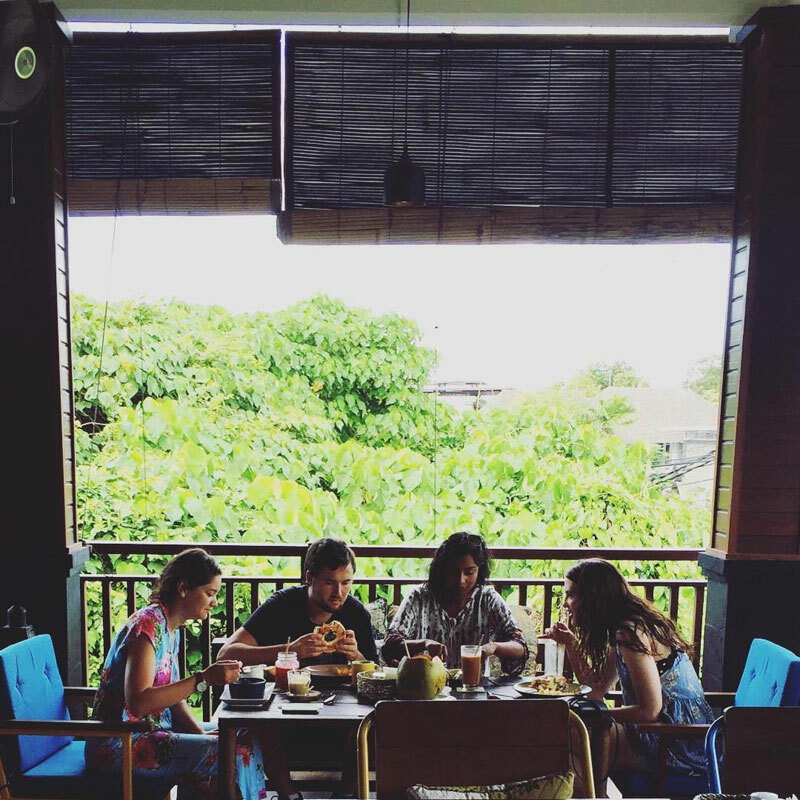 Cugh House is located in Berawa and has spaces for you to dine, work and relax. 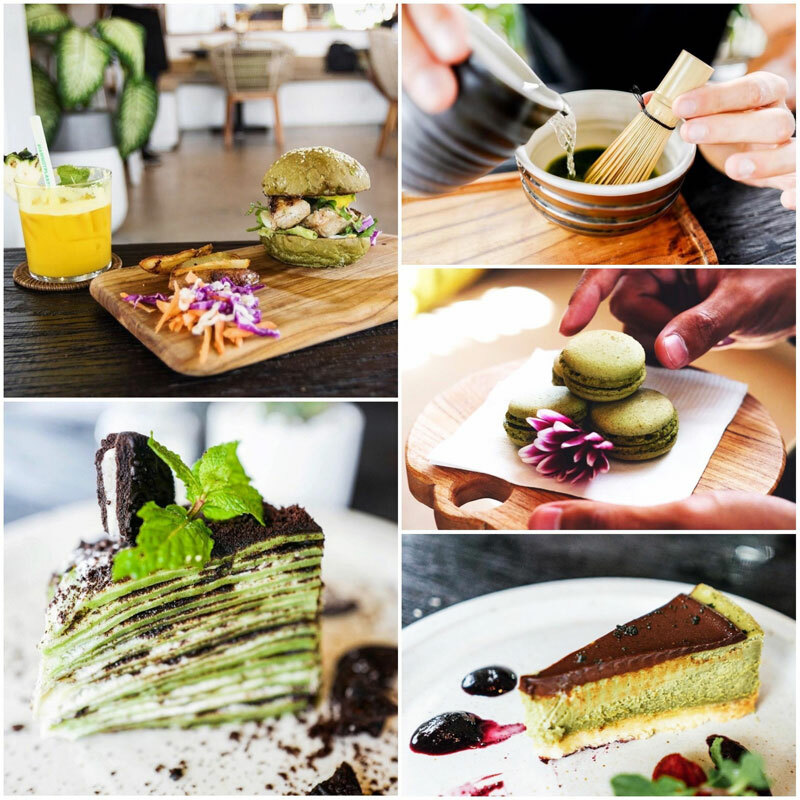 Resto C’afe is located on the ground floor, where you can enjoy an array of healthy dishes. Guests’ favourites include smoothies, acai bowls and their special Indonesian coffee blend (to die for!). To make your day fresher, you can even shower at the cafe, simply because they know you won’t leave Cugh House from sunrise to sunset! And things get magical at sunset time… which also happens to be Happy Hour time! Time to kick the C’bar and enjoy in-house specialties like a special concoction of Margarita (with little twists to it of course). They have an extended roof terrace with even better views! What a day Cugh House promises! 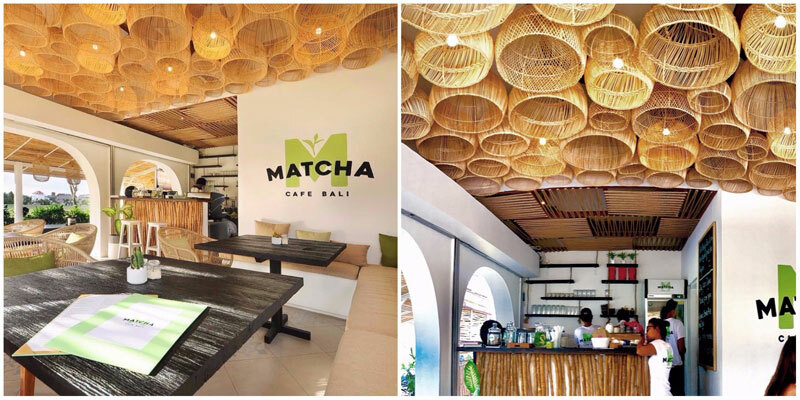 Matcha café features green tea in more than just frothy beverages. 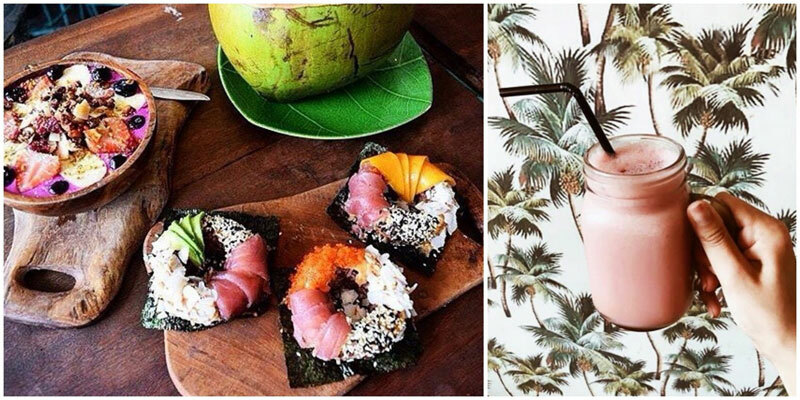 This Insta-perfect spot takes their mission to bring matcha to its customers very seriously. 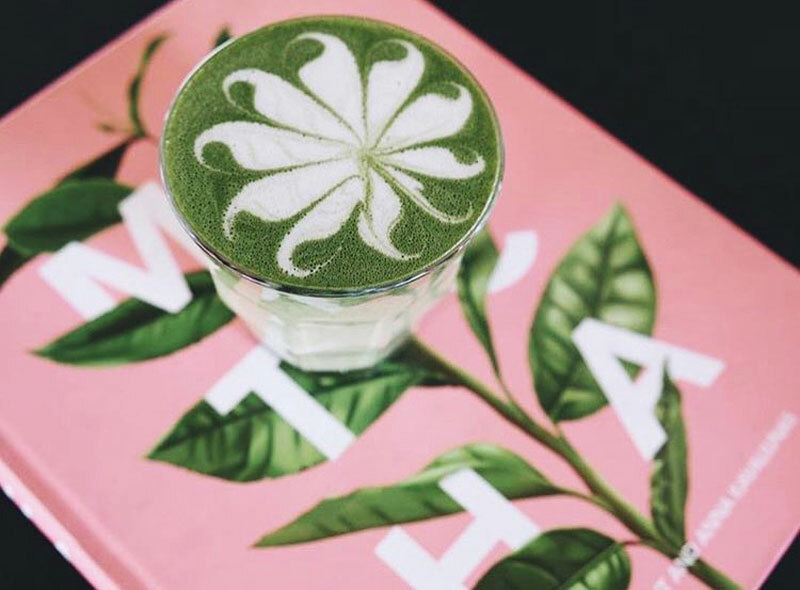 Matcha drinks, matcha desserts, and matcha more things to love! 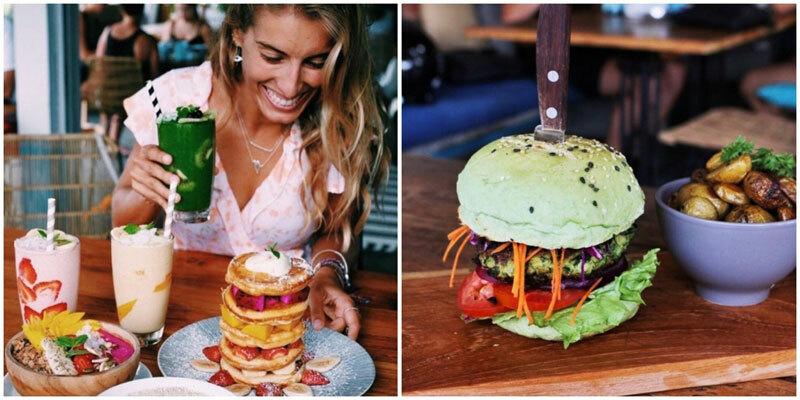 Don’t miss their wacky inventions such as Matcha-infused burger buns, pancakes, cheesecake, ice-cream and obviously Matcha latte – café-goers’ favorite! 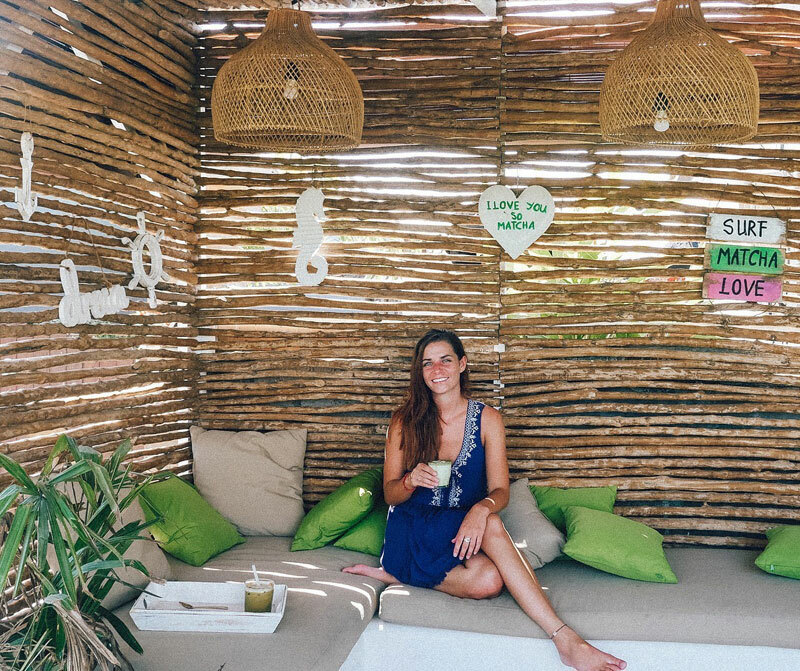 You can ultimately choose from other non-matcha but notoriously organic items such as salads, big breakfasts, avocado toasts and savoury smoothies; so there really is a reason to stay all day. 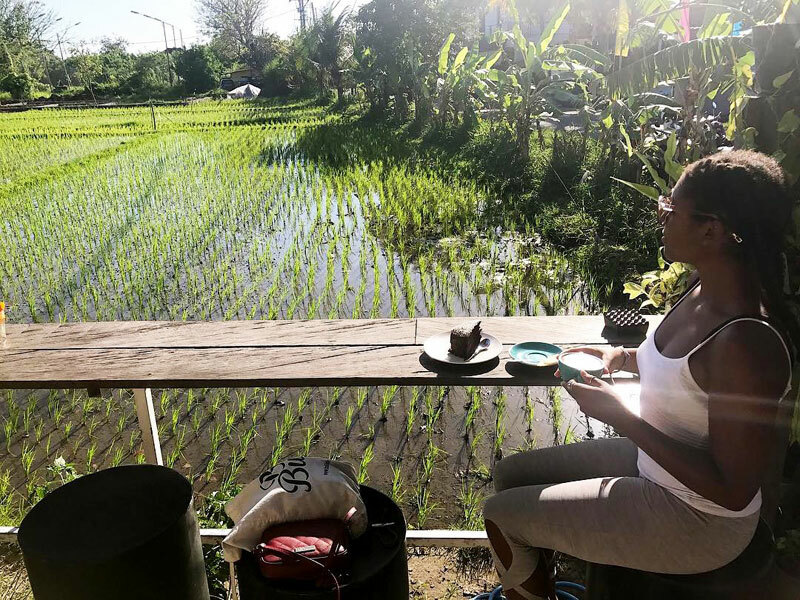 The café also overlooks a paddy field across the road – adding a little bit more green to your Matcha experience. Ohayo Gozaimasu, on to your next Matcha expedition! La Favela, La Laguna or La Plancha? Too cliché for you? 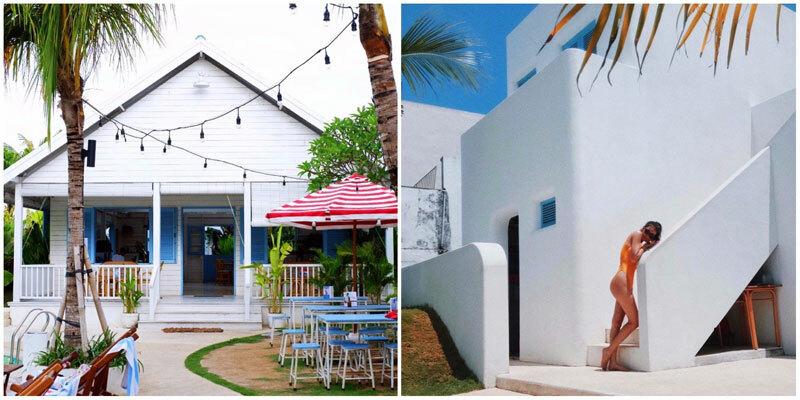 Head straight up to their newest sibling and beach club – La Brisa! 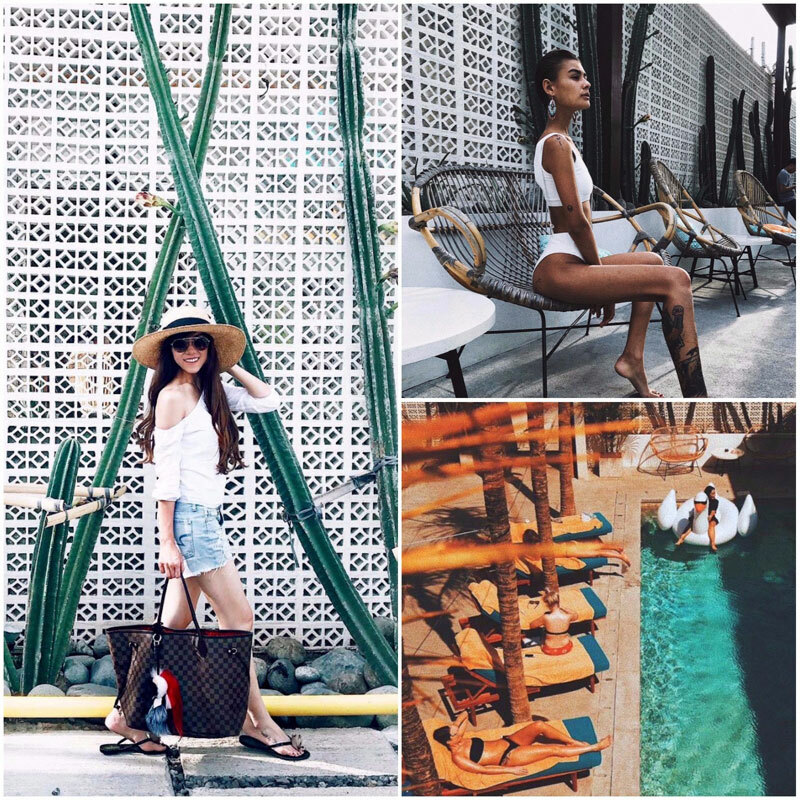 When all you want is to escape the Bali inferno and only a dreamy place will do, sail away to La Brisa. 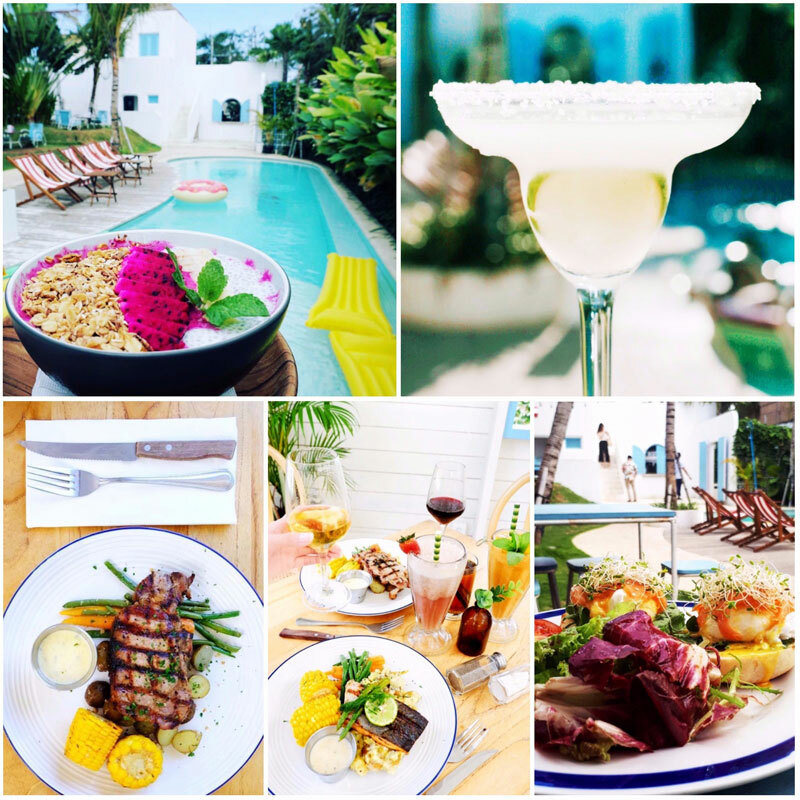 Nothing gets better than a comforting plate of seafood right by the beach. 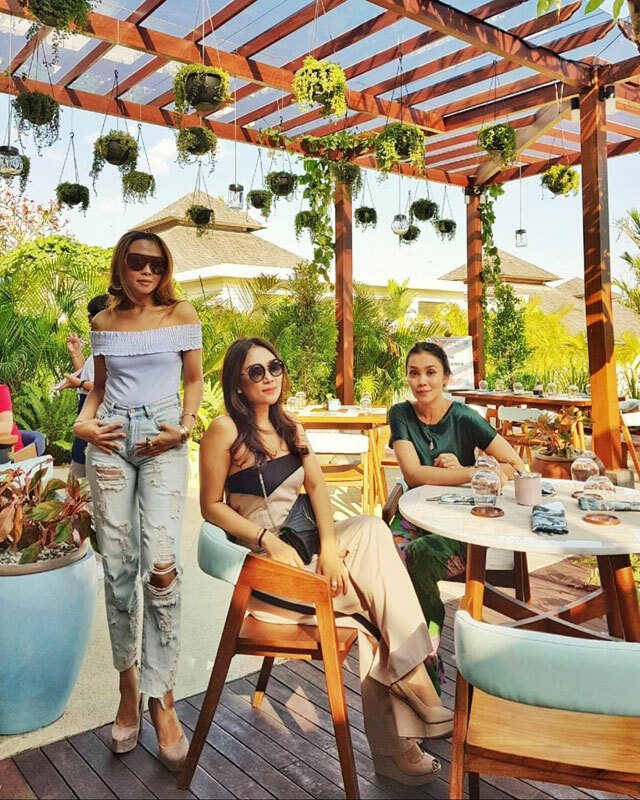 If weekend brunch in Canggu is a religious ritual, La Brisa (with its dizzying array of seafood options) is Bali’s super church. 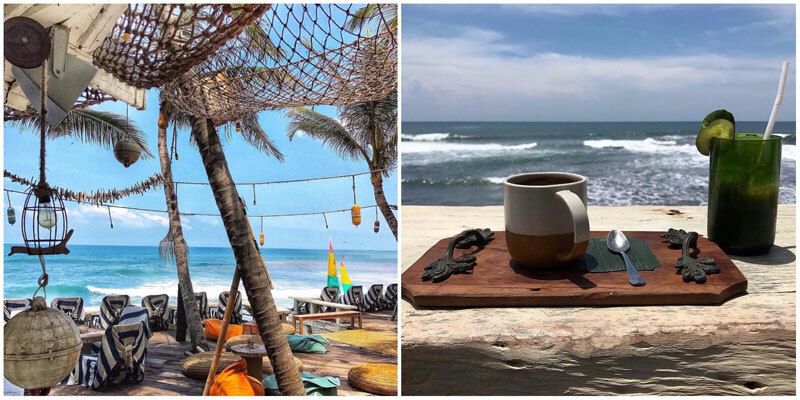 Load up your plate and enjoy a leisurely seafood feast while gazing out at the sea and sipping on a piping hot coffee. The best part? You can work it all off with a stand-up paddleboarding session at Echo Beach afterwards. 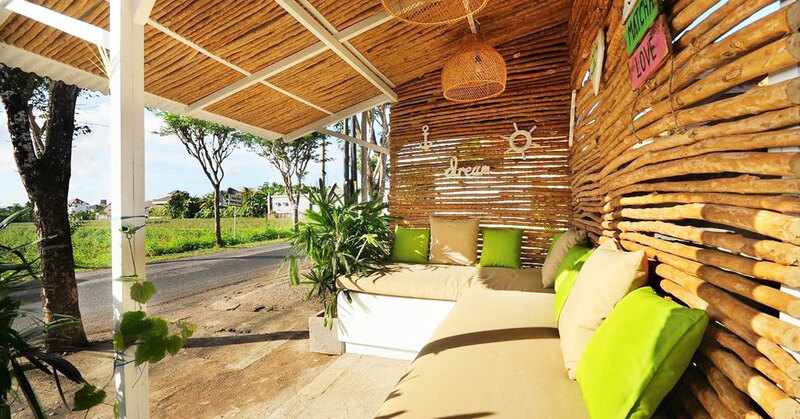 La Brisa is themed around a vintage fisherman’s house, so you’ll find fishing nets, fishing baskets, wooden boats and also a touch of whimsy such as splashy bean bags and everything to make you escape from reality! 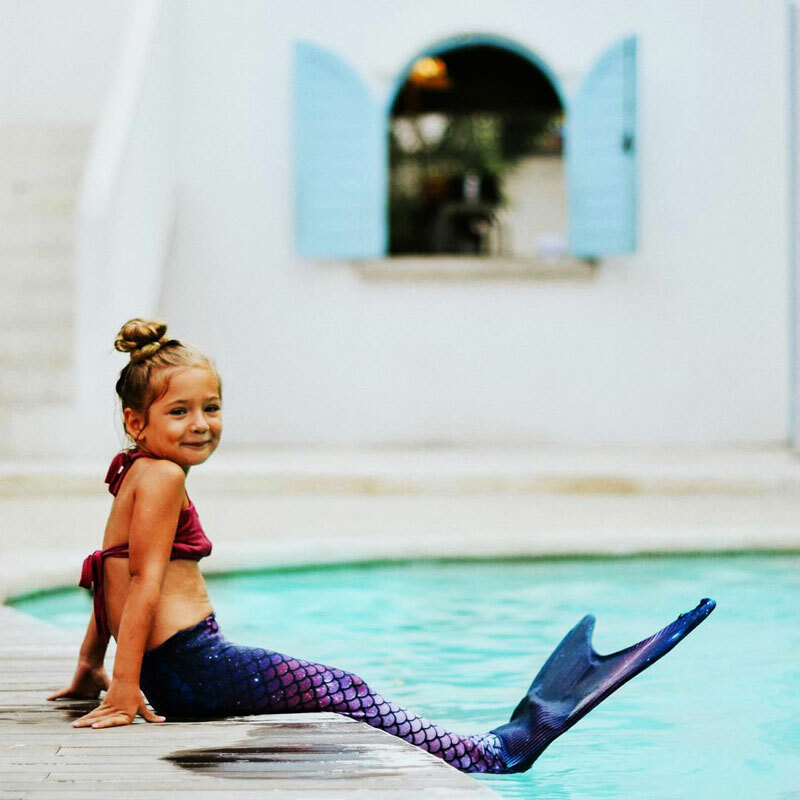 They’ve got a pool you can enjoy but believe us, all you’ll want is to put your feet up, sit back and enjoy the ocean view and refreshing sea breeze! 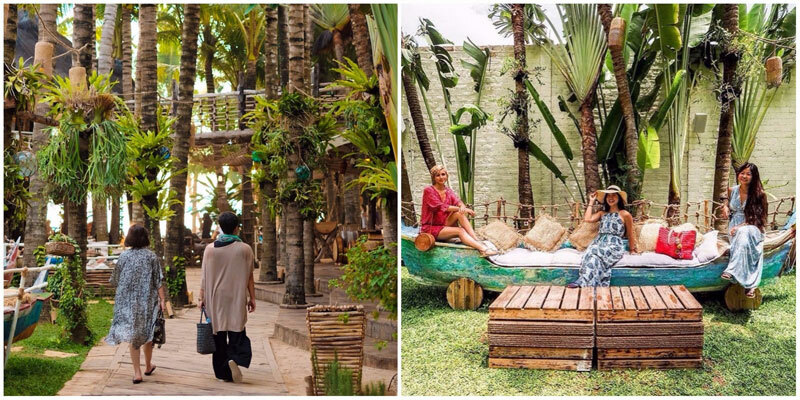 Just like its siblings, La Brisa is in an open-air setting, so you’ll find plenty of seating options and space, as well as countless photogenic spots! A loud call to all hip creatives out there! This great lunchtime stopover speaks for itself! 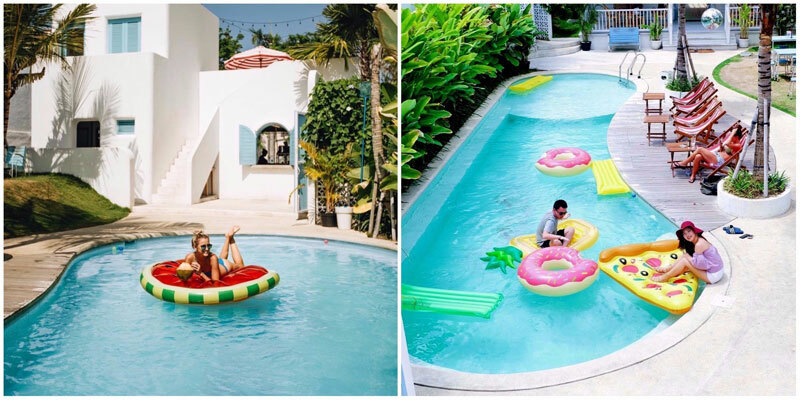 With a name like Cloud 9, how could it be anything less than total paradise? Between the relaxed atmosphere, delicious menu choices and the trendy decor, you will be reluctant to leave this little slice of heaven. 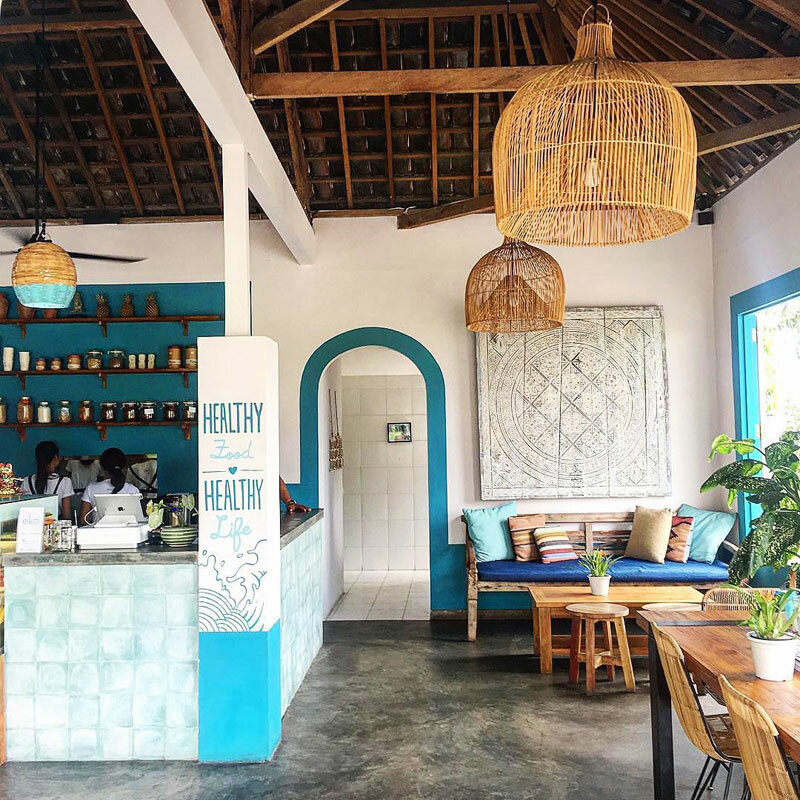 Located in the midst of rice paddies and lush green foliage, this great restaurant offers laidback surfer vibes that are apparent in the decor. Get comfy in the colourful beanbags chairs, and for extra hip photo-ops, don’t miss the old Volkswagen minibus parked outside permanently! 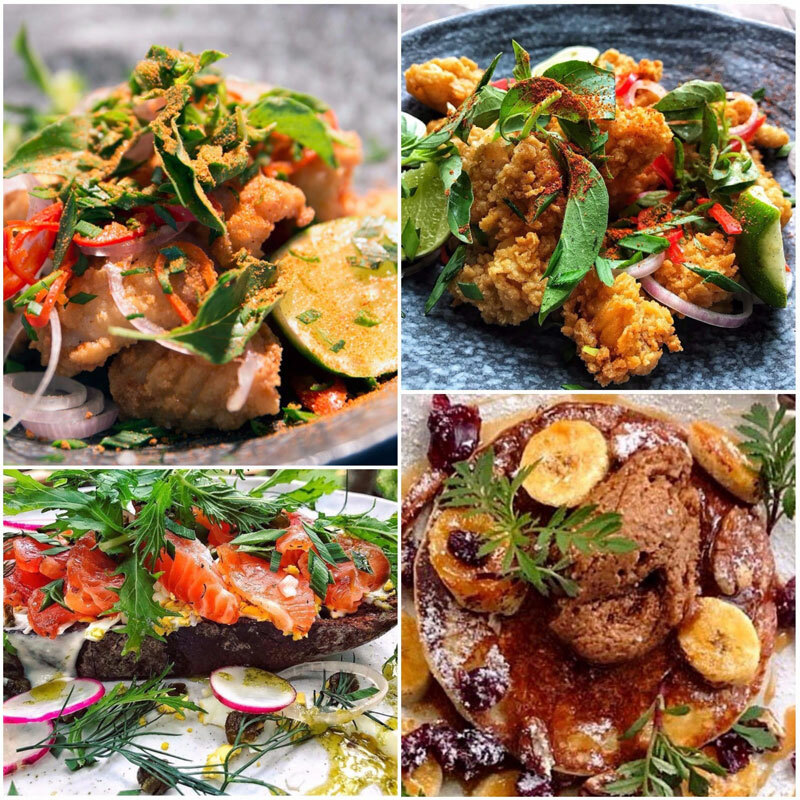 Cloud 9 boasts of a wide range of menu items – from fresh, healthy greens in a medley of dynamic dish options (such as exotic, scrumptious salads and fruit & granola bowls), to burgers and toasted sandwiches, our classic summer comfort food. While you’re waiting for food, you can have some fun with the slackline setup in the common areas and practice your balance! 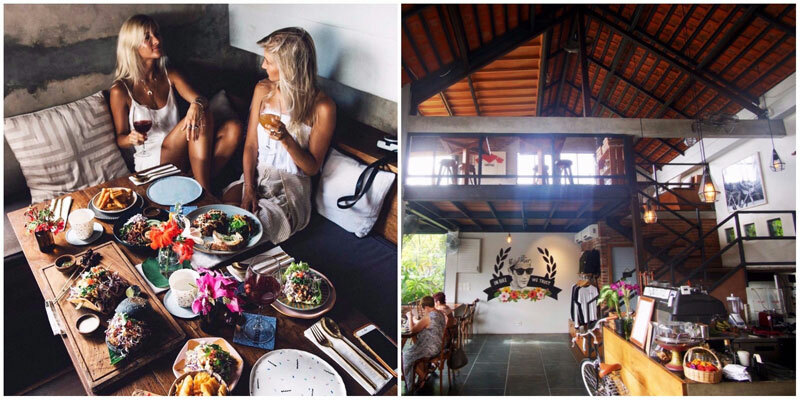 Living the Canggu life without having a dose of local delicacies is time wasted, darlings! 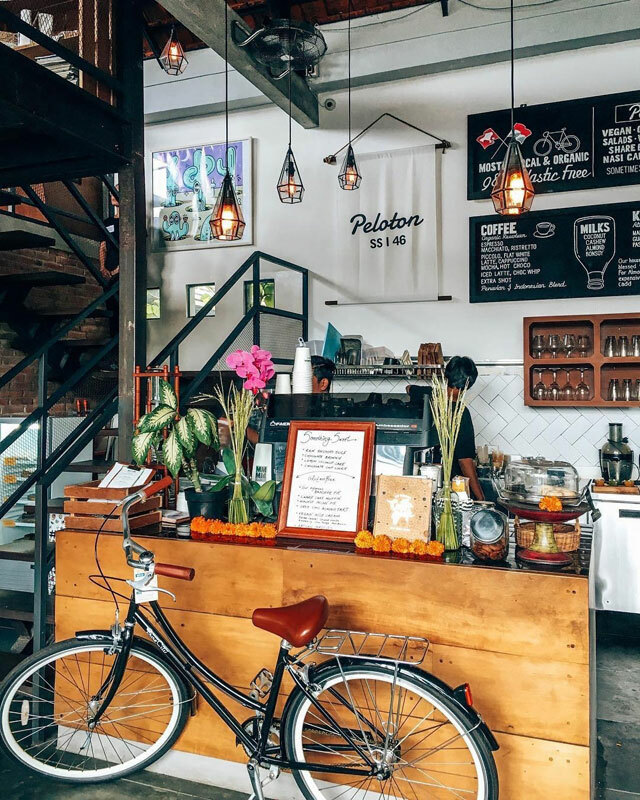 Expect rustic décor with salvaged fittings and antique decorations, combined with the upcoming trendy side of Bali and a few contemporary elements – everything to make the café look pleasant, comfy and warm. 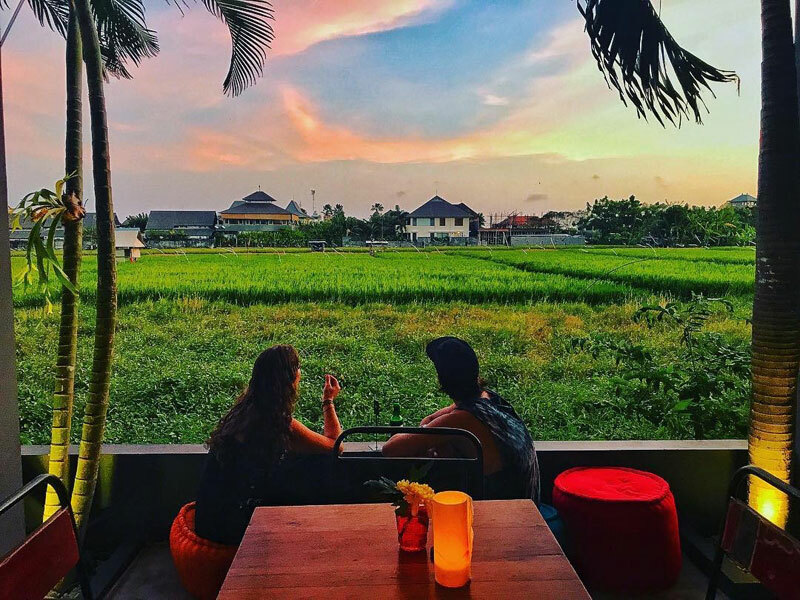 Here comes the bonus point – having your Nasi Goreng nicely placed on the table, complete your ultimate Balinese experience while you dine overlooking picturesque views of paddy fields. The simplicity of the rest only makes it more lovable. Having a tough day? 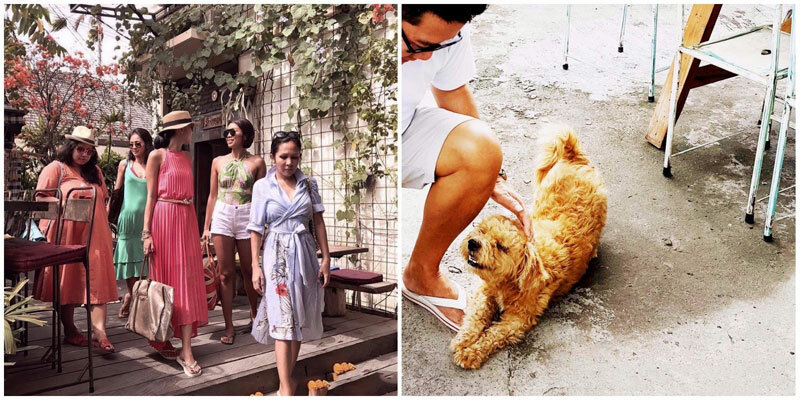 Hang out with Kenzo, the little companion residing at MyWarung – he enjoys chill vibes as much as you do and doesn’t mind lazing around with guests all day long, Bali living…truly! 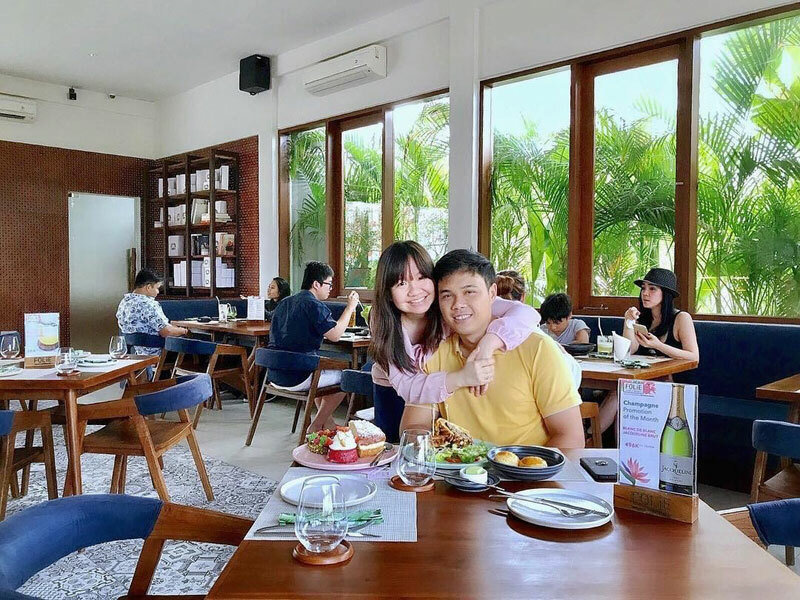 Besides Indonesian food, the café also serves incredible breakfasts to brighten up your day (but of course days in Bali are always bright). Yet another reason for you not to settle for hotel buffets … just saying! P.S. Save room for dessert; or simply eat it first! 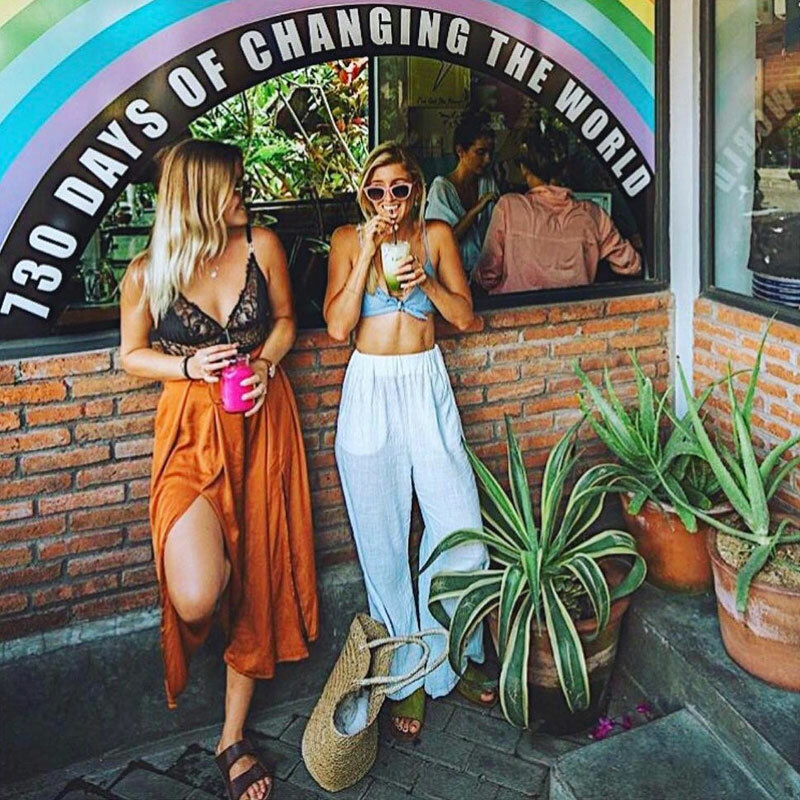 Here’s a trendy café that is being the change many of us wish to see in the world! But hey, you can contribute too! 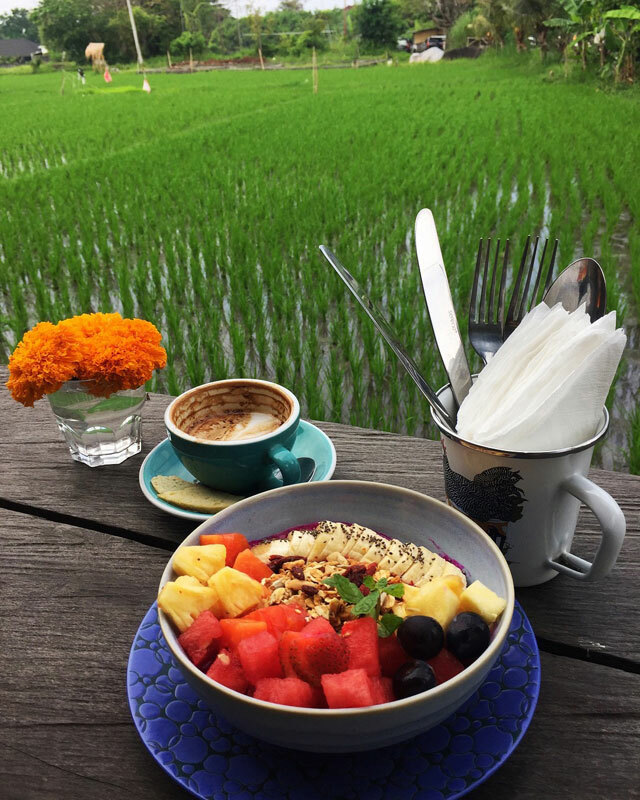 No one can possibly complete their Bali journey without a little bit of yoga, meditation and … clean eating, of course. 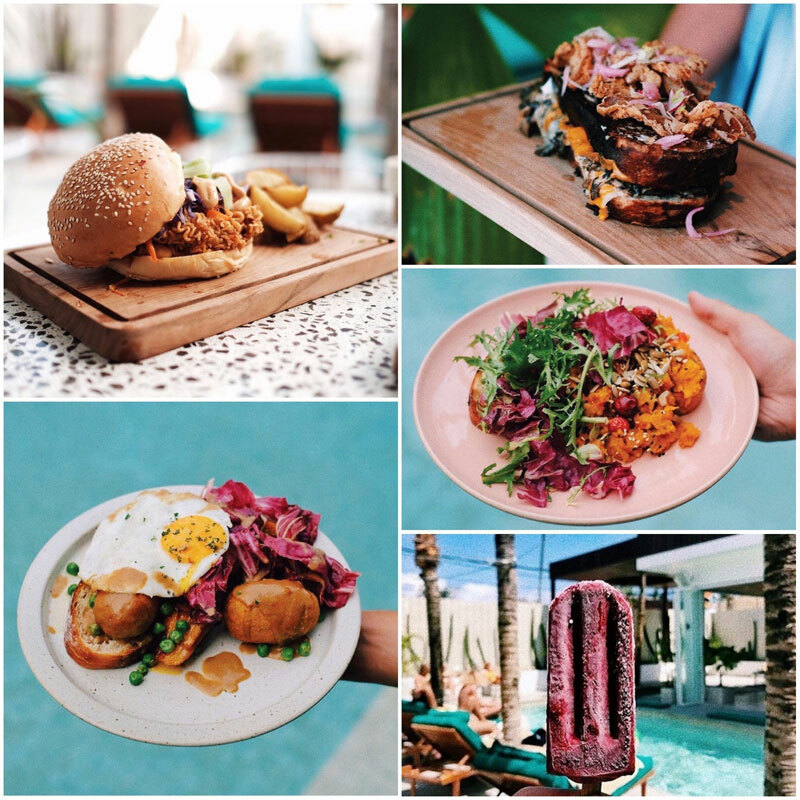 Peloton Supershop serves the most imaginative vegan meals that will level-up your Instagram game. 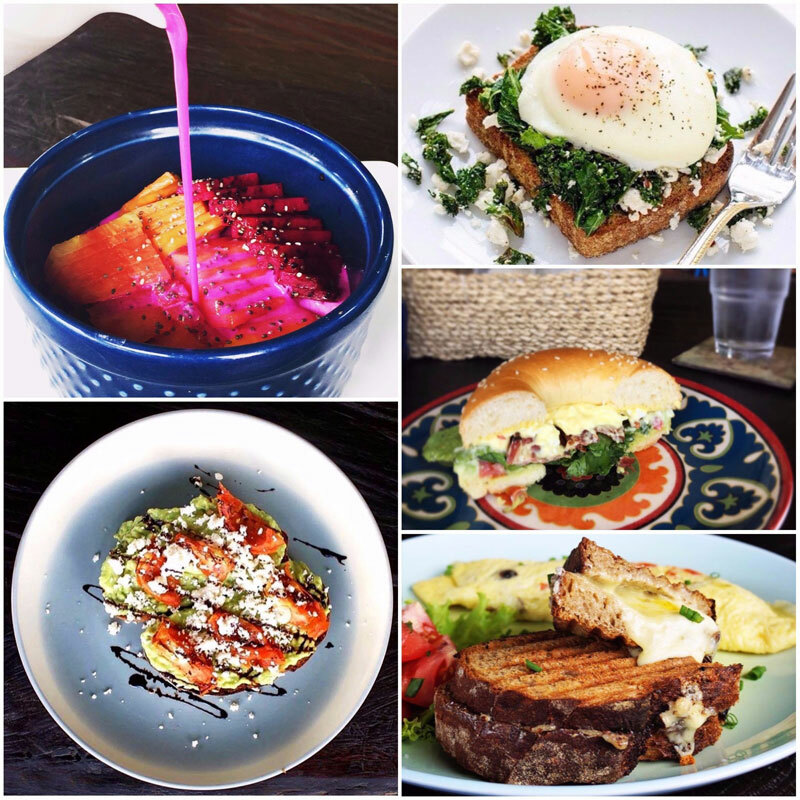 Rest assured, it is much more than just salads, they come in all colors, shapes and textures! It really is the Champagne brunch of clean eating. 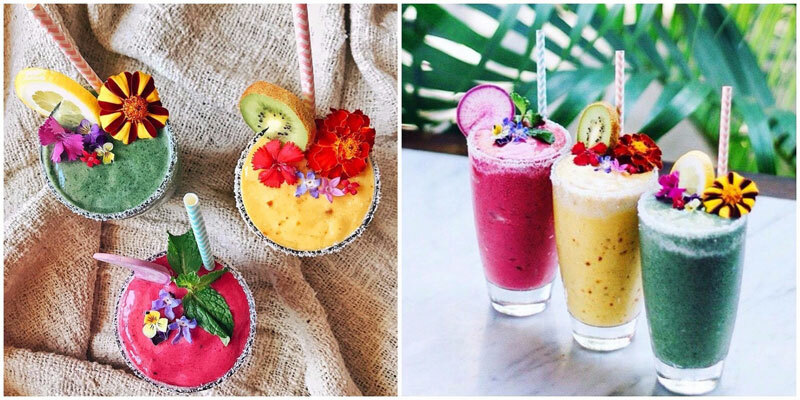 We can’t get over their tropical smoothies that would perfectly fit into a Moana scene; they are so beautifully decorated with edible flowers! 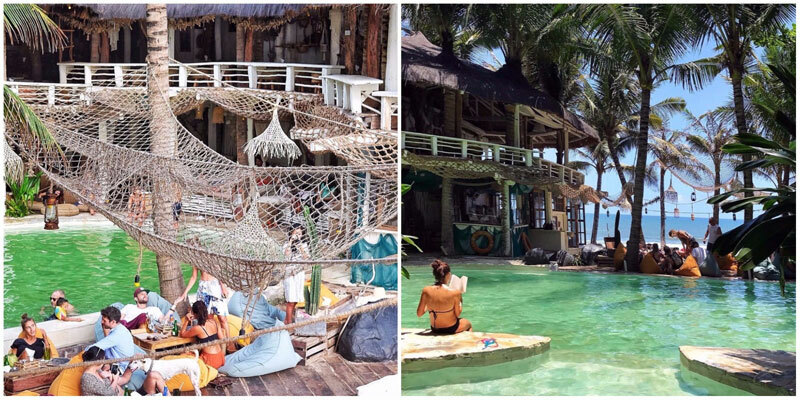 Neither can we turn a blind eye to their rustic décor; chill vibes guaranteed for a tranquil day with your squad or simply by yourself! Keen to change the world? 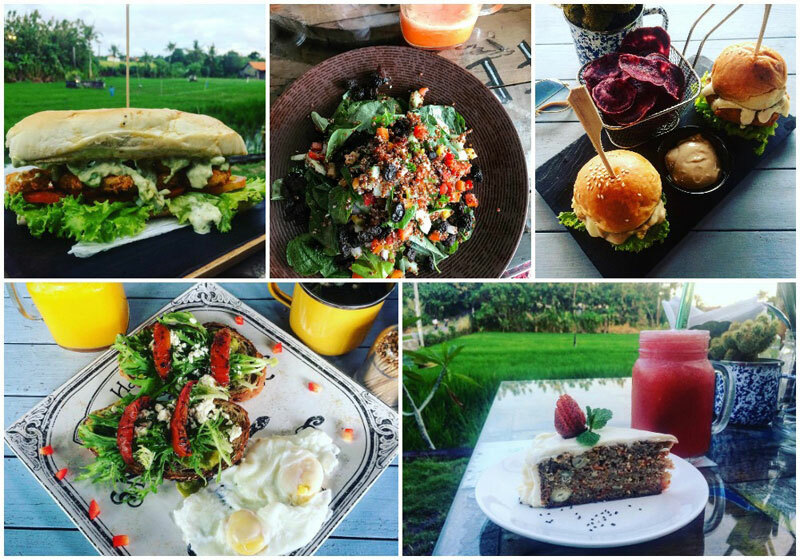 We bet you won’t need more reasons to head over to this café that proves now is #TheYearOfCleanEating! Look no further if what you need today is some affection from a fluffy being while you sip on a smoothie in a comfy bean bag! 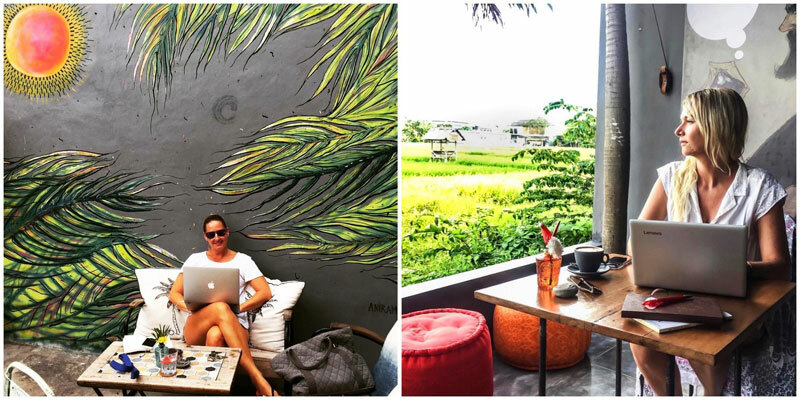 That totally sounds like an introvert’s definition of an ideal day in Canggu, doesn’t it? Indeed, Recovery Room doesn’t only live up to its name; it truly is a place for some self-transformation. 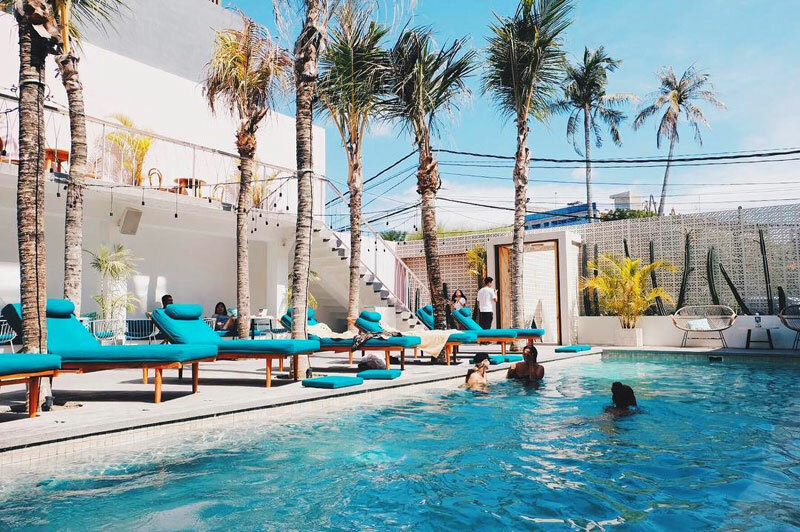 Here, you can overcome the worst hangovers to the wave-less days in Canggu and be happy in peace, healthy and carefree! Don’t we all deserve a time and place to hit ‘Refresh’? 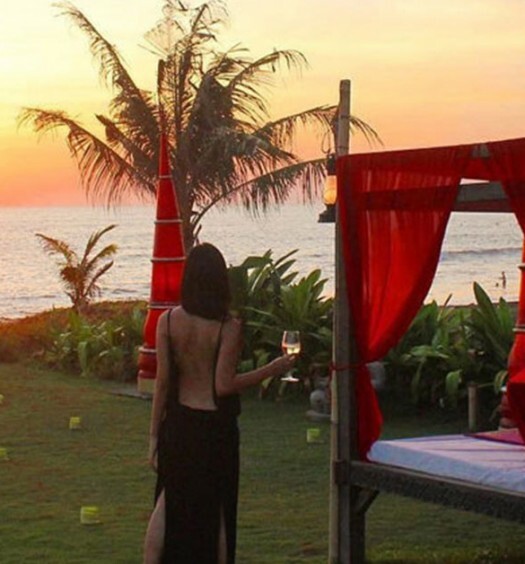 Find peace and happiness with great views over Canggu. Best pick? 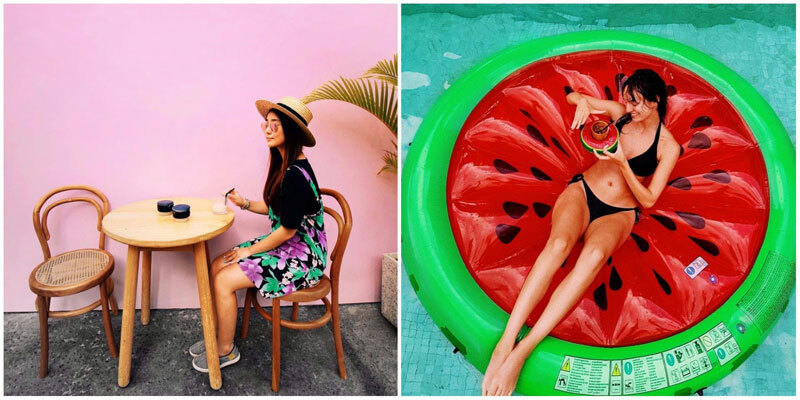 On a hot day, we strongly recommend their dragon fruit smoothie bowls or their delicate avocado toasts – two of their customers’ faves! On a rainy day, get yourself the full comfort combo. In an over-sized sweater, sip on some warm tea, get lost in your favorite book and relish whole-hearted cuddles from the resident dog and puppy. You won’t want to leave, but you don’t have to either! What’s more Asian than Roti and curry for breakfast? 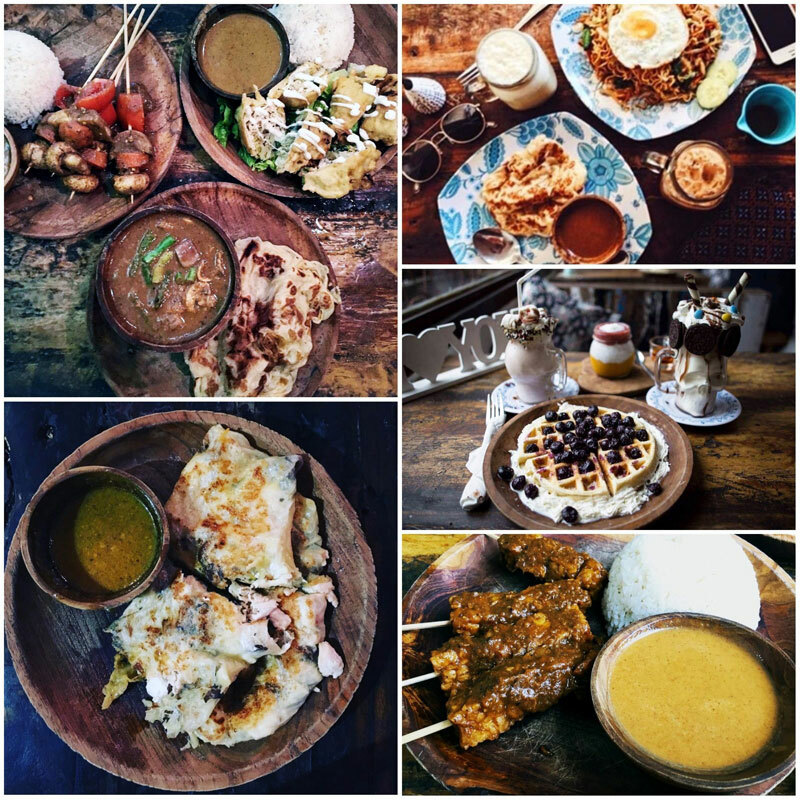 And even better, try Roti Canai with a unique twist, like Roti Nutella with chocolate sprinkles, because pancakes and crepes are so yesterday! 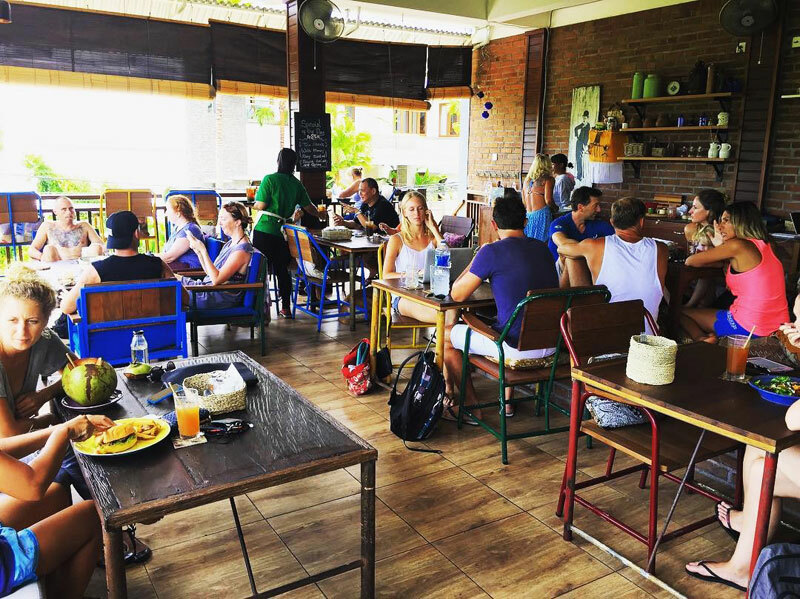 Roti Canai is a prime example of an off-beat hangout in Canggu. In fact, it could earn the status of a hipster haven, so if you enjoy that sort of environment, you’ll definitely want to give it a try. 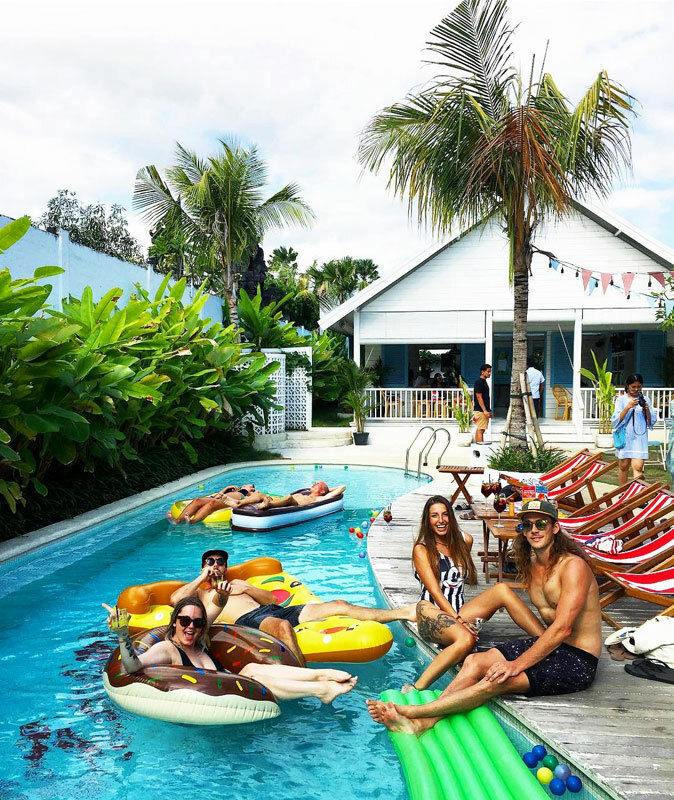 You can expect to get cozy on the chair swing, speak to knowledgeable waiters, be spoilt by an incredible menu (try the freakshakes), and take lots of selfies with the fun décor. As mysterious as it might get, the café also gives you the chance to find your soulmate. 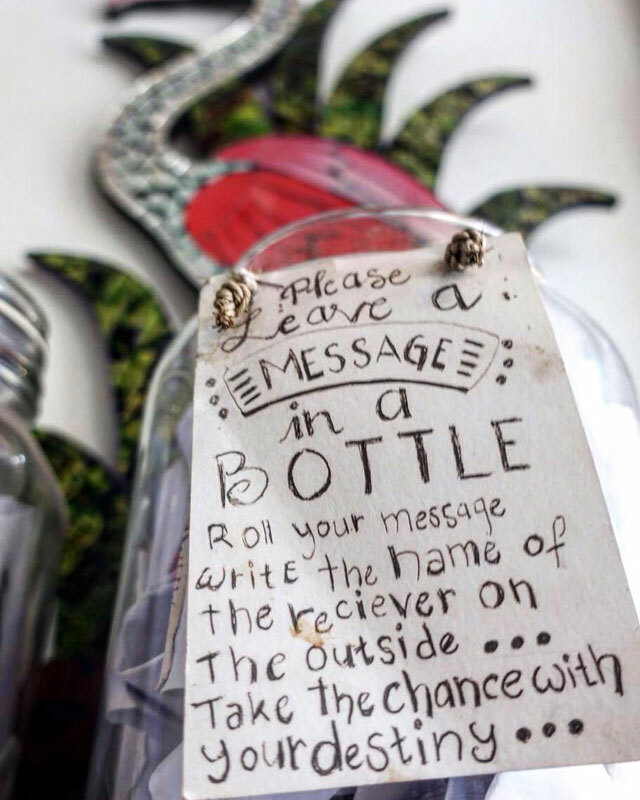 Drop a message to your lover to-be and who knows, you might find someone as hipster as you! 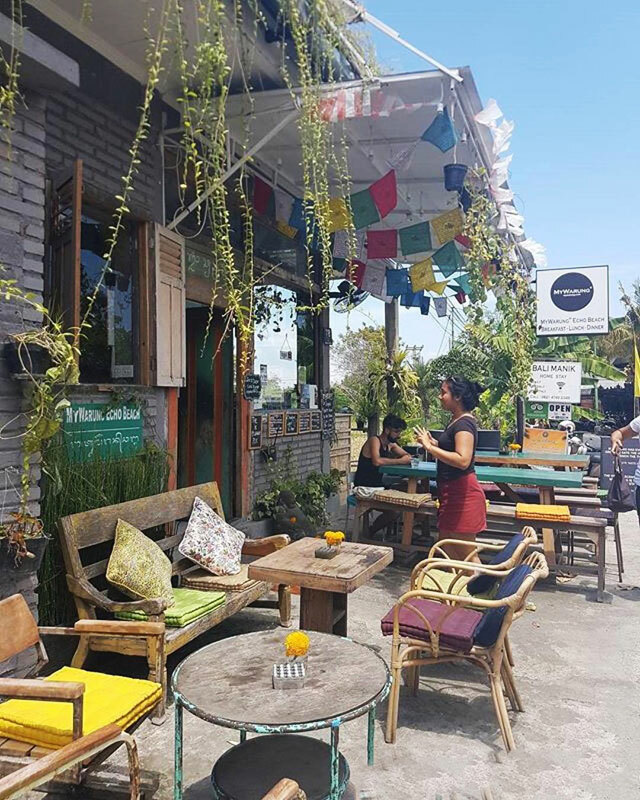 Roti Canai continues to reinvent and inspire, so look out for this little café when in Canggu as it could very well be your ‘Happily ever after” place! 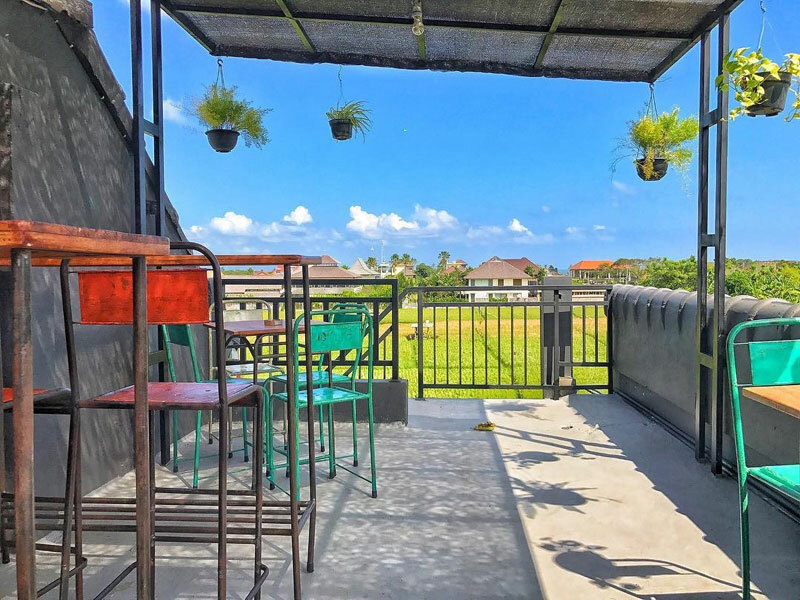 Folie Kitchen’s funky interior and unique hipster dishes remind us all that a casual day in Bali is just as tropical as an evening in Hawaii. Well, both instances anyway call for a cold Mojito! 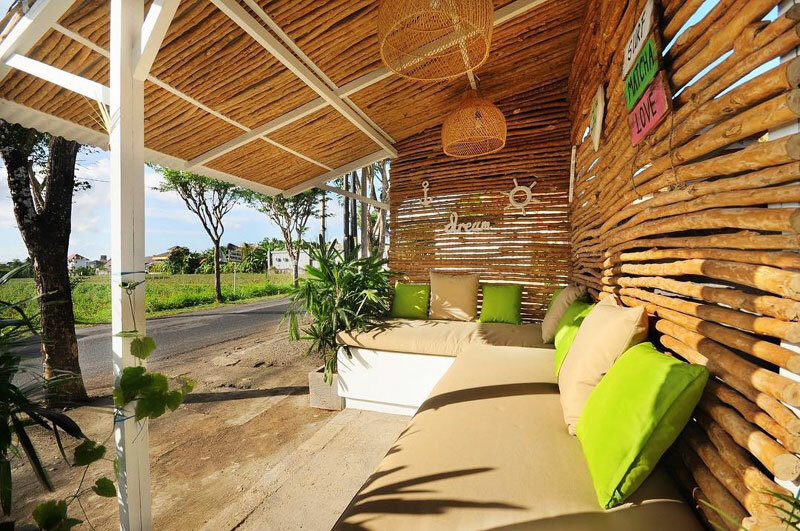 So Canggu lovers, time to don your Hawaiian shirts and straw hats to enjoy this exotic heaven with tiki chic vibes! 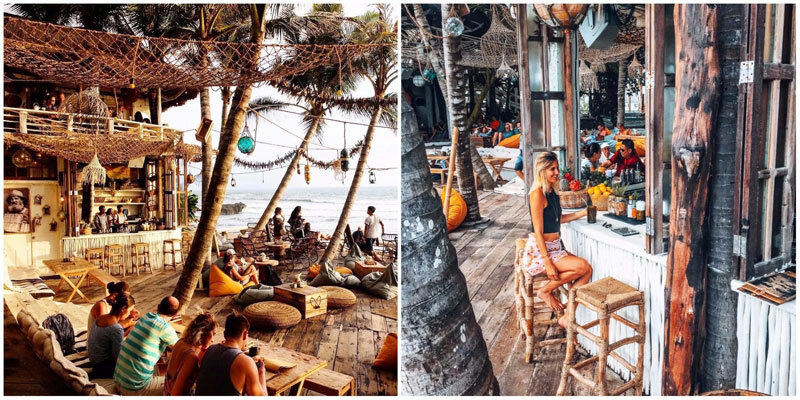 This is a place where you can nosh à la folie against a backdrop that calls forth happy memories of the Pacific islands (or any tropical island to be honest). 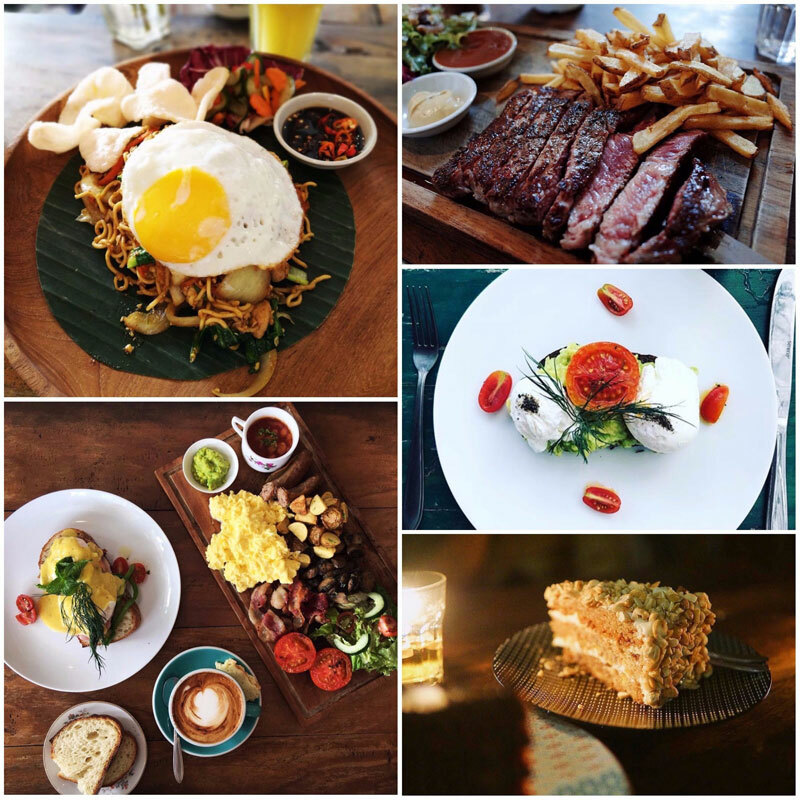 With a globetrotting French chef, you can expect a potpourri of flavours fused from French to Indonesian origins. Stephane Simond is the star behind this killer café as he brings soul to his recipes while ensuring top notch service to his customers. 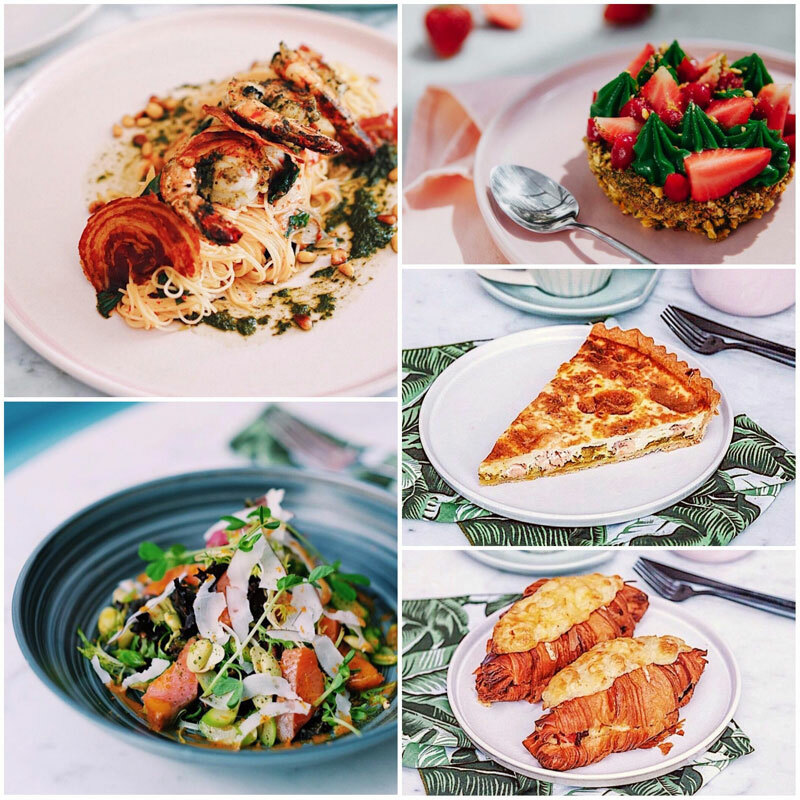 You’ll have a hard time choosing something from the menu, but the stars of the café are definitely their pastas, salads and pastries! And what can compare to French pastries? 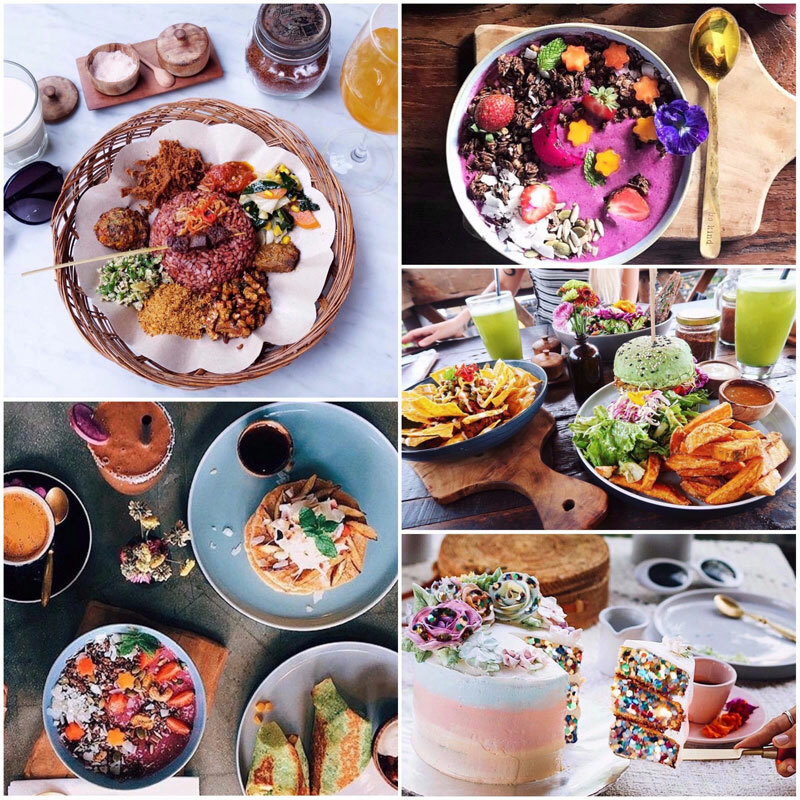 So treat yourself with some good food while you feast your eyes and bring an explosion of colours to your Instagram feed! In case you’re not yet one of those obsessed by Poke Bowls, well know that they’re the bowl of the moment! 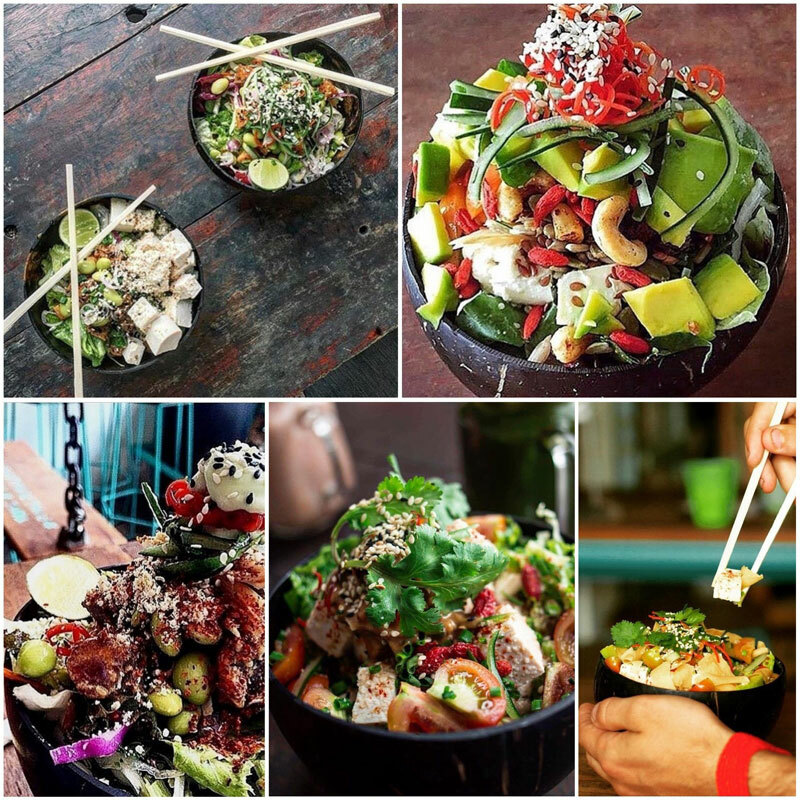 Originally from Hawaii, Poke Bowls have popped up worldwide and eventually took Bali by storm and became part of the Canggu dining landscape. At PokePoke, you get to customize your own meal bowl (or simply choose from their best sellers); be it for breakfast, brunch, lunch or dinner. 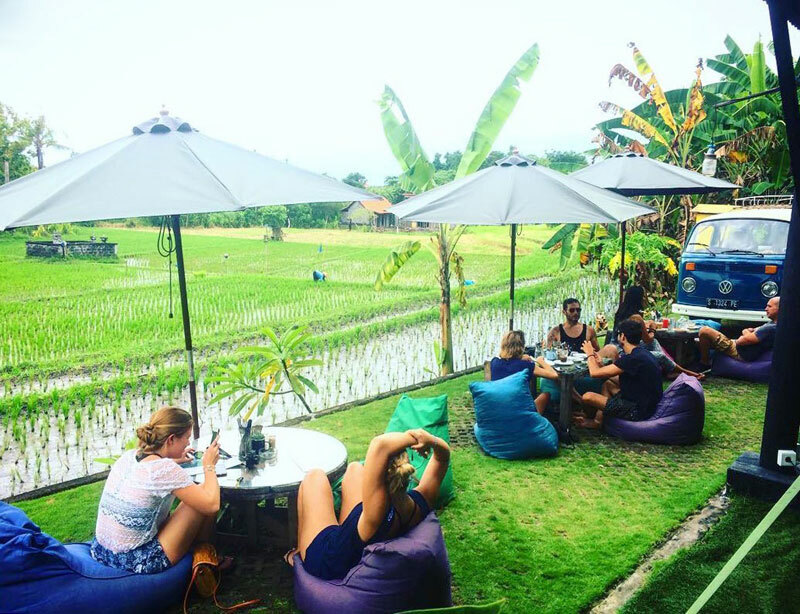 It’s a one-stop spot for all your meal times in Canggu. Have fun switching ingredients and coming up with the most imaginative combinations. Go crazy, it’s seriously just as satisfying as choosing the toppings for your frozen yogurt. We see you rebels out there! 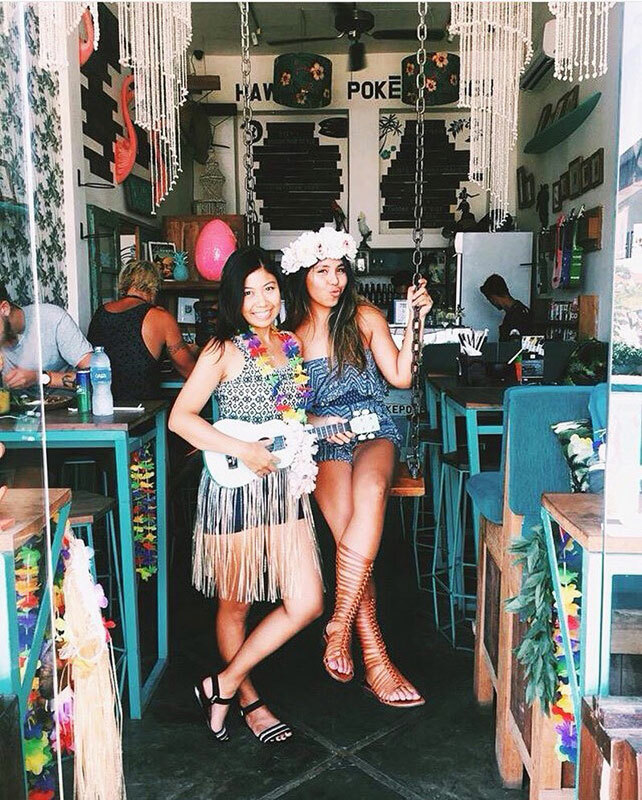 PokePoke is much more than just poke bowls; they’ve got poke donuts, poke wraps and a long list of options for vegetarians and vegans! 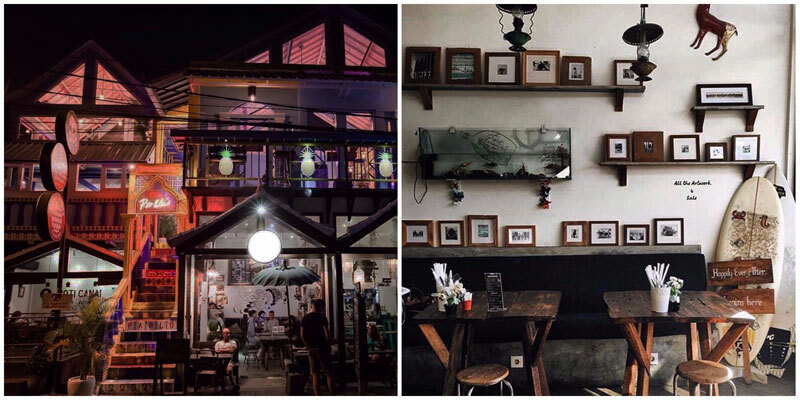 Something else you’ll fall in love with is the exotic ambience at this café. 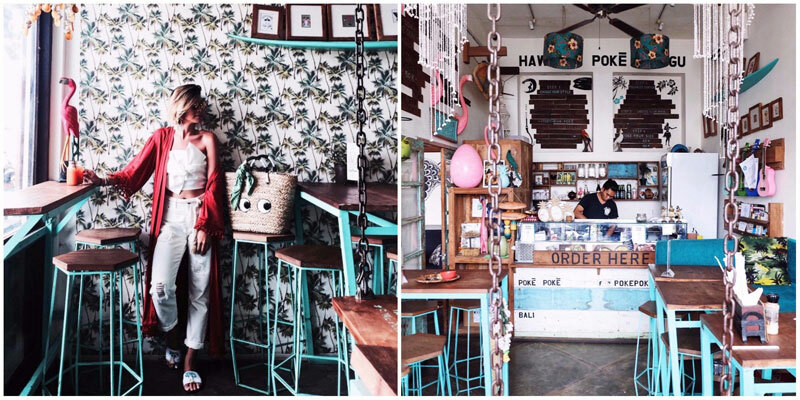 Get your #potd and #ootd pictures shot there with their funky coconut trees wallpaper interior and their whimsical swing! While you’re there, take a turn and swing all of your adult responsibilities away. Wait no more, time to tickle your palates with flavors from your DIY meal bowl! 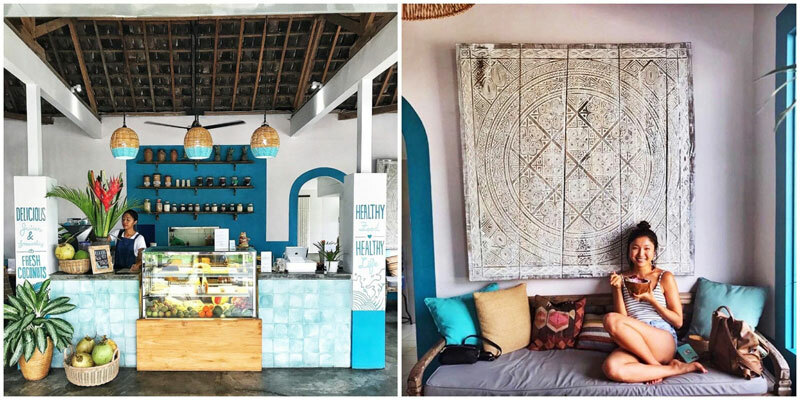 Flamboyant menu options match perfectly with this peaceful Zen café, so much that we’d think monks, yogis and soul-searchers reside here. The menu at Eko café sounds widely innovative but it’s also about the classics – pancake towers, eggs done right, lots of avocado options and more. 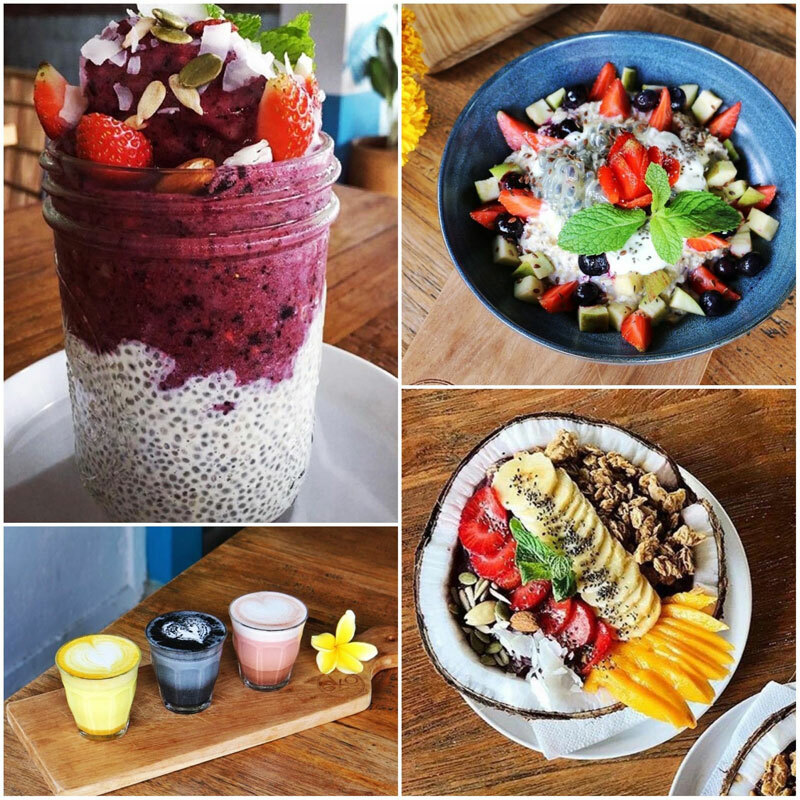 If you manage to get through the day without being tempted by the berry acai bowls and colourful smoothies flanking your neighbour’s table, you might need to get your pulse checked. Be sure to order some healthy shots too – consider it the ideal hangover helper. 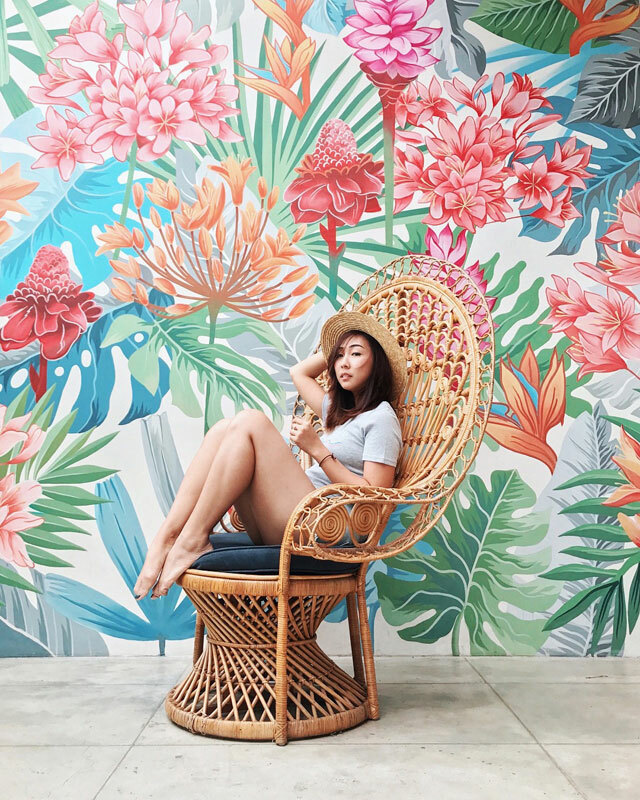 If you’re planning to level up your personal Instagram feed, rise up early and head over to the café to grab the best seat, lounge in this wooden rustic couch against a mystical painting on the wall. 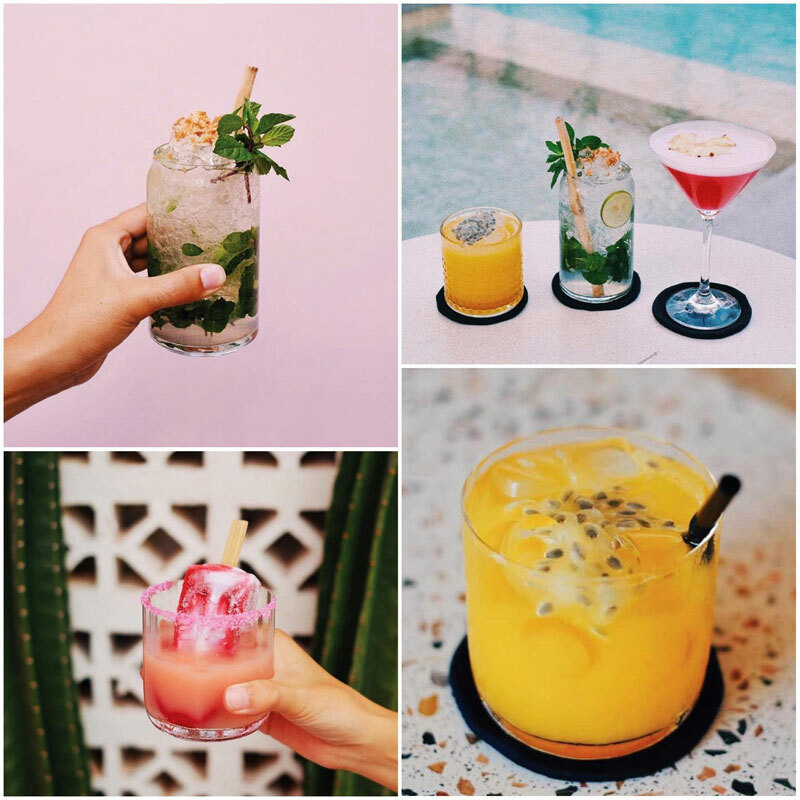 Here’s where you can Instagram your drink without being totally basic! 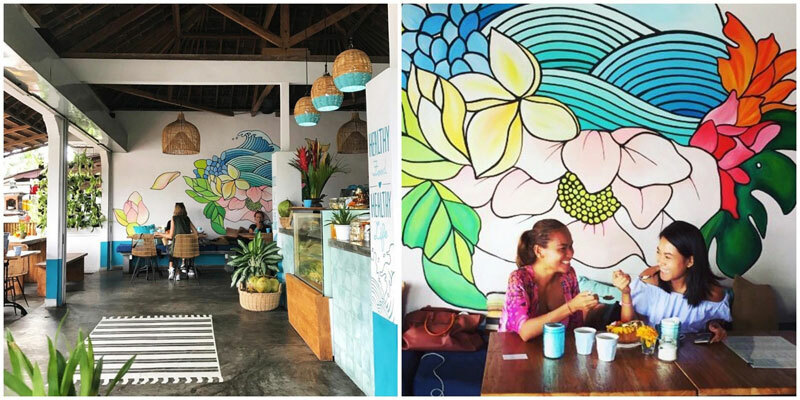 Eko Café doesn’t only bring bright colours to your dishes, but it also has its tropical mural game on! 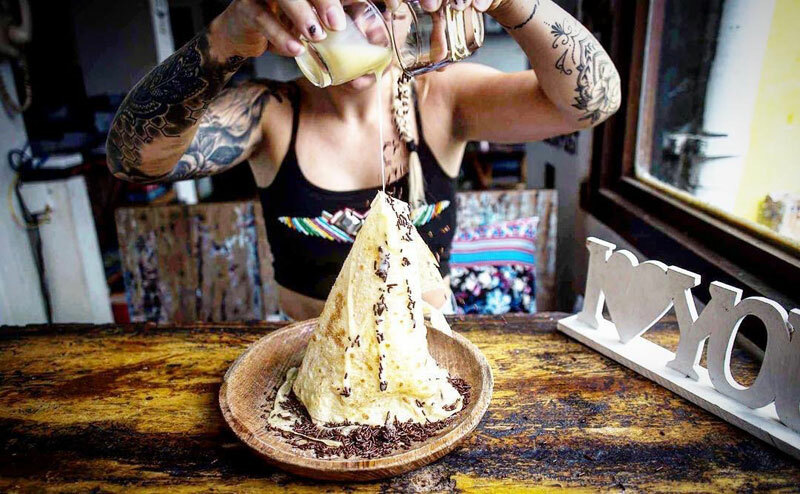 We insist, a charming interior and a pancake tower do make your day better! 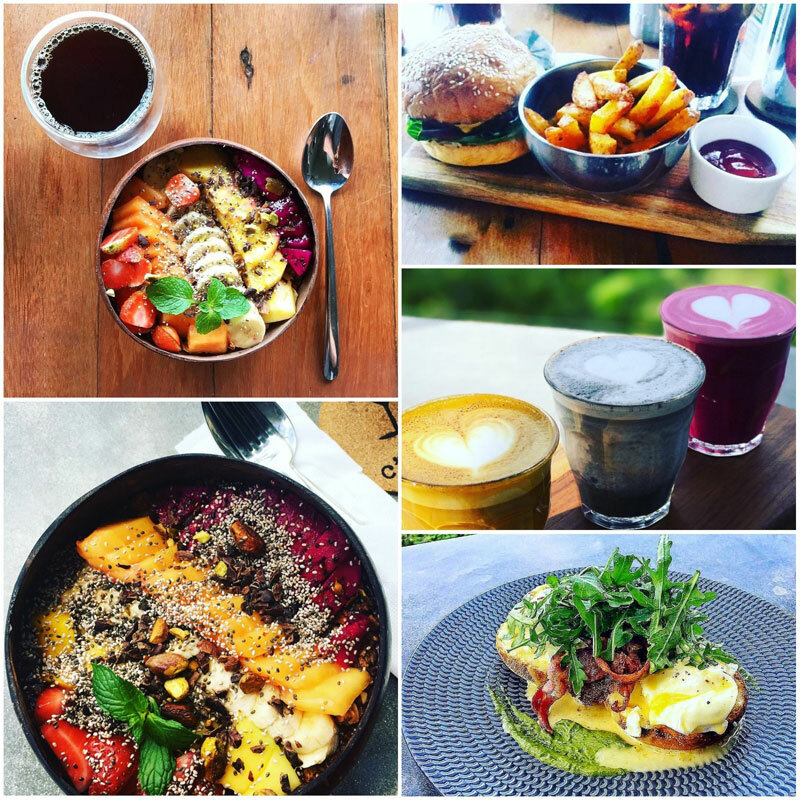 Don’t these hipster cafés stand out from the crowd as much as you do? 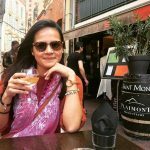 Your social media posts will surely do too! And you, what’s your go-to cafés while you’re in the Gu?